Ready for some strategic game play?? iTrax is designed for ages 6 and up, and involves your thinking cap for play. There are three levels of play making it more challenging for older players. It is fast paced and very colorful play. Perfect for 2-4 players. 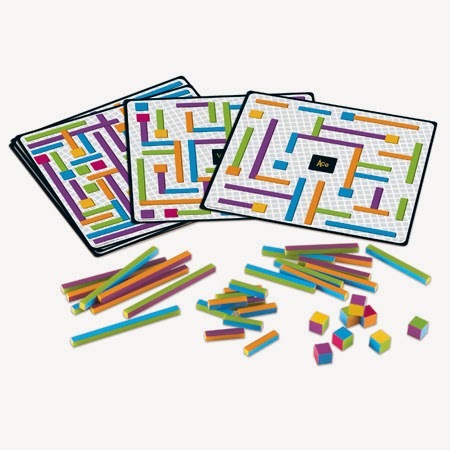 The object of the game is to find the one path on the game card that connect two cubes, and re-create it using the correct rods and cubes. The first player to collect 7 cards wins. It did take a bit of help from Mom to get them going on the game, but they they really enjoyed it. I love that it involves strategy and planning ahead. Great thinking skills are used. 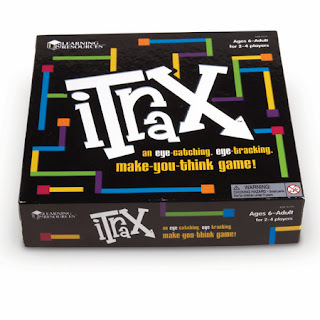 Win iTrax Game from Learning Resources! I have been eyeing the mental blox for some time now! The Buy It Right™ Shopping Game would be fun and helpful. I would like the Pretend & Play Doctor Set! I like the Gears! Gears! Gears!® Motorized Spin & Glow Building Set! I like the GeoSafari ® Talking Globe Jr.® by Educational Insights®. I think my grandbebes would have fun with the Digitz game!